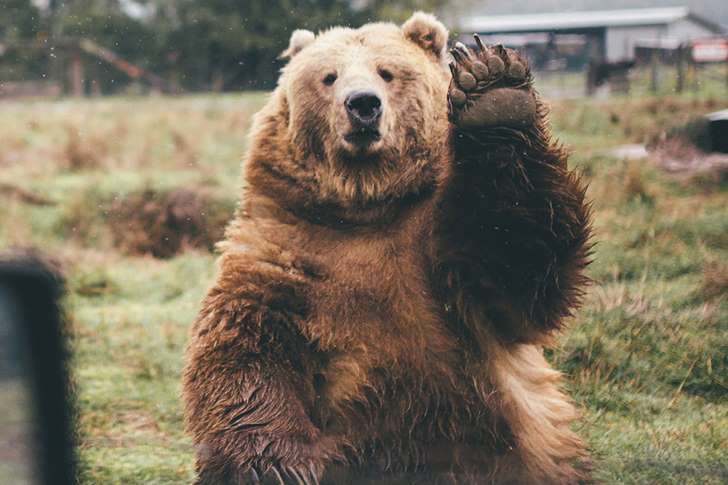 A photographer who was heading home from a weekend of camping was stunned when he waved goodbye to a bear - and it waved back. 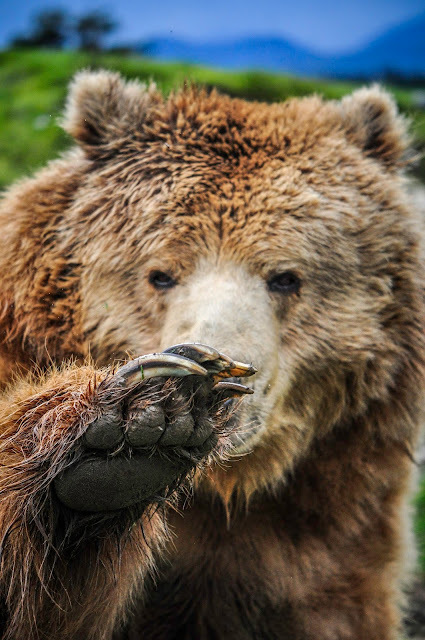 The bear was on the grass and lifted his paw waving goodbye as Dylan Furst passed him in a car. Dylan, 25, had spent the weekend camping at a national park which is also home to bears. As he was leaving, the Jeep Patriot SUV he was travelling in passed by the large kodiak bear so Dylan said “goodbye bear” and waved at it. But Dylan was stunned when the bear, who was sitting just 10ft away, raised his paw and waved back at him. Mr Furst captured this moment at Olympic National Park in Washington state, USA. Nice story. Except there aren't any kodiak brown bears in Olympic National Park. 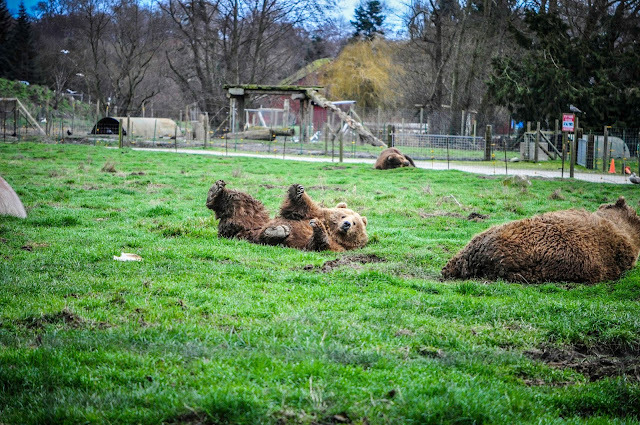 There are, however, several of the bruins at the Olympic Game Farm, conveniently located next to the national park. And they're pretty good at waving too, in exchange for a few slices of bread. Whoa. Get a load of them claws. 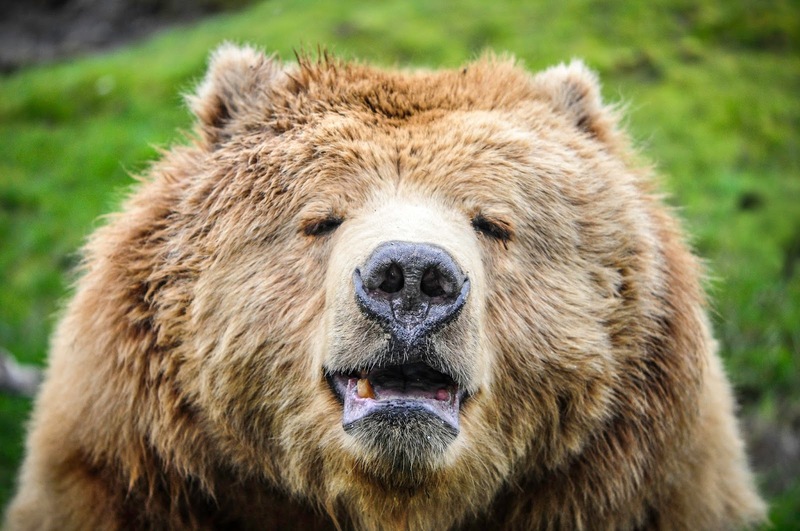 "'I was no more than 10ft away from the bear, separated by a small wire fence. He didn't seem threatening at all, and it was almost tempting to go up and hug him." Yes, a small wire highly electrified fence. Those bears know down to the inch how close they can go to that fence without getting zapped.